For all the households using air conditioners, a major component of electricity bill is contributed by the air conditioners. If you are someone who is worried about high electricity bills due to air conditioners then buying energy efficient air conditioner makes much more sense to you. There are multiple types and brands of air conditioners available in the market today. Everyone wishes to be informed before making a buying decision of an air conditioner. Most sources on the Internet provide details on features and reviews. Electricity consumption hardly becomes the deciding factor. To help people make electricity consumption as deciding factor, we have decided to put up a list of Top Ten air conditioners in India by electricity consumption and size. Air conditioner is one modern equipment used for cooling the room temperature by lowering the heat and adjusting the room temperature. During prickly summer it is impossible to live without air conditioners. It not only cools the room but also cleans the room as well. AC must be purchased not only depending upon it’s price but also based upon your room size. Switching AC on and off at regular intervals will waste lot of energy. Best Leading Air Conditioner Brands in India – full list is available here. 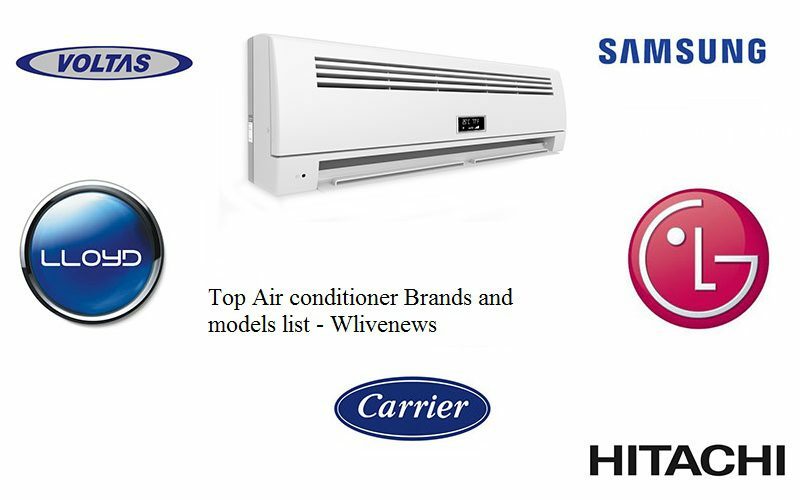 These are considered as premium brands for Air Conditioners in India. Out of these Hitachi, Daikin, Mitsubishi and General are Japanese brands while Blue Star is an Indian brand. These brands are known for their refrigeration technology and thus offer quite robust products. Hitachi, Daikin and Blue Star also offer great energy efficient models and typically rank high in our top rankings (based on BEE data). Other brands that are really good include: LG, Samsung, Voltas, Godrej, Whirlpool, Carrier, Toshiba and Panasonic. This brand value mentioned over here is based on our perception of various brands available in India. Some people may have had good experience with other brands as well, but then their market presence is too small to make a judgement. The list of top models below does not involve this perception and is purely based on data from Manufacturers & BEE (Bureau of Energy Efficiency) on energy efficiency (or electricity consumption). Before choosing a brand, you must also ensure that the brand is present in your city/locality and is able to provide good service for your purchased product. The top AC brands in India in terms of popularity are Voltas, Samsung, Daikin, LG, Whirlpool, Videocon, Blue Star and Hitachi. Most of the ACs introduced by these companies are known for advanced EER, quick cooling, noiseless functioning and longevity of compressor and condenser. Voltas air conditioners top the chart as far as market popularity is concerned. They are known for their sleek contemporary designs, energy efficiency and high cooling capacities. Samsung and Daikin are also among the top AC brands in India. Counted among the most reliable and trusted air conditioning brands in India, these two electronic product manufacturing companies are best-known for selling superior quality air conditioners at absolutely competitive rates. Mitsubishi electric provide best and heavy duty air conditioner even some of O General AC are using mistubishi compressor because of their quality but we know quality comes with high price tag yes you have to spend more for mistubishi air conditioner this is a Japanese company and it is value for money if you have more first and then go for it. O General air conditioner all the best in current Indian market because they are wrapped up and simply the best even many of customer are saying that they haven’t any program in life time with general AC this company is also based on Japan but we don’t know that original service centre is available in your area or not but their service quality is good up available in the area and you are willing to spend a little bit more then go for general AC. Daikin is also a good and world class air conditioner there comes with approximately same price tag as Hitachi but we don’t know about service quality some of users are complaining that service is not available in the area please make sure if there is service centre then you can choose this one as well. Voltas is selling much more air conditioner than any other brand in India because of cheap rate and good quality this selling too many products and have very low defective we know some of users are complaining on Internet about their hair conditioner but because of large number they only few percentage you cannot judge a company by these review just check your recommendation is air conditioner requirements and choose any of above using price. Now we arrived half in our Top 10 Best AC Brand in India list. Carrier AC’s are also good the product they are providing looks nice and simple in looks. Carrier is known for ventilation and home cooling. Offering a wide range of air conditioning systems, including central and split units, Carrier is one of the most renowned air conditioner brands in the industry. We don’t have too many users with sharp ac by according to my research almost user are satsified with sharp airconditioner this is also Japanese brand. LG Life good company known as best quality products but in recent few years my of it’s customer are complain about air conditioner provided by LG and it looks they are loosing ground on it. But many are completely satisfy even when I went to LG showroom salesman try to sell me LG product even in cheaper rate. But we should not forget that LG provide much more features than many of other in our list. Whirlpool in an american brand which is selling it’s AC, refrigerator and washing machine within India. THis company also provides beautiful and wide range of it’s air conditioner. Blue Start is an Indian based company which is also provides best class AC units in many of countries. Have very less complains but service issue and other customer review pull in down to number 10. If you are thinking that window AC or split AC are completely different in cooling and power then you might be wrong because the only different in both of them is available as options and price tag. Also it has seen that window AC power consumption is much more than split AC with same configuration. But there is no difference in cooling and other factor of AC except space requirement. If you have available space for window AC I highly recommend to install it because the price difference between split AC and window AC is about 5 to 10 k this is huge difference and both provide same cooling. Here is the list of top 10 most popular and best Air Conditioner Brands India.Go through the best air conditioner price list & Reviews. So you can make a better decision, these are top 6 split Ac’s between India later in this post we will share reviews of top 4 window Ac. Voltas brings this 1.5 Ton 185 EYR/185 IMR-Executive 5 Star Split Air Conditioner that ensures to make the summers and humid seasons advantageous for you. The timer feature in this air conditioner system actually shuts down the AC without disturbing you of your rest. This air conditioner system in like manner components and an anti-dust filter which butchers the microorganisms all around and shields them from spilling inside your room. It is one of the best air conditioners brands in India. Beat the summer with the Voltas 185 EY R 1.5 T Air Conditioner. This split AC has a 5-star rating and an anti-dust filter which makes sure hygienic cooling. If you require a cooling machine that keeps your surroundings cool and takes care of itself, you have this Sansui split AC. With components like active carbon filters that work to kill bad odor, catechin channelsthat deactivates organisms and germs, and a blue edge evaporator which shields it from rusting, this best air conditioning in India is a mind-boggling investment.This is one of the best split AC in India. Go through the best air conditioner price list. This Split AC has a conservative design that complements the contemporary decor and can expeditiously cool a normal-sized room as it has a capacity of 1.5 ton. With a 5-Star Rating, this AC helps save on power bills. 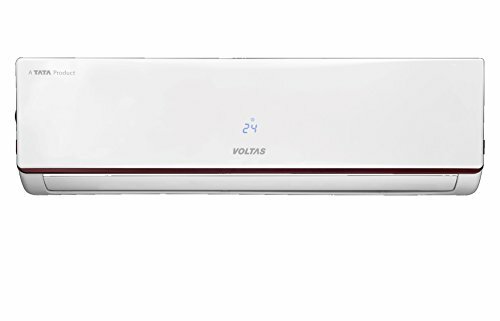 On the off chance that you are searching for a proficient and pocket-accommodating Air Conditioner at that point purchase Voltas 125, EY Executive R arrangement split AC from Amazon India The richly outlined split AC show accompanies most recent components. This AC has a vitality productivity confirmation of 5 Stars. It has a limit of 1 Ton and comes in Wine Red shading. It likewise accompanies one-year guarantee on the item and five-year on the compressor. This is one of the best air conditioner brands in India. The AC guards your family solid and. The AC has 5 channels. They are silver particle channel, Catechin channel, Vitamin C channel, Anti-tidy and Acaro Bacterium which helps in giving cleaner and more advantageous air to you. This guarantees crisp, spotless and sound air in your living space. The AC has Auto Restart work which causes you rest continuously if there should arise an occurrence of energy cut. Go through the best air conditioner price list. Try not to give the outer a chance to climate and atmosphere influence you. Bring home this 5-star AC and cool your room irrespective of how hot or moist it is outside. With its Auto Humid Control, Auto Climate Technology and 4-way Air Swing, this AC is all you have to change unbearable climate into wonderful, cool climate. The Hitachi RAU514AVD Split AC (White) with its strong cooling technology and helpful functions makes bearing the exploding temperatures easy.This is one of the best Air Conditioner in India. Its 1.2-ton capacity is more than the use of meeting your daily cooling need. This unit has a 1-year warranty and the compressor comes with an abstracted warranty of 5 years. The AC has a 5-star rating which makes it power efficient in nature, ensuring that it won’t take a toll on your power bills. This LG air conditioner is intended to tune into your surroundings for your benefit. It gets air movement in the room and changes itself to create cool air in varying temperatures relying upon whether it’s summer or the storm season. Initiate the rest mode and the AC consequently modifies the room temperature to coordinate your body’s temperature so you have an undisturbed rest. This is one of best Air Conditioner in India. Get cooling like hills in the Himalayas: The Himalaya cool innovation aims to give instantaneous cooling as soon as the AC is switched on. The clever airflow innovation improves the cooling. The inbuilt monsoon convenience technology in the AC gives the accurate cooling when the humidity is high or during the humid season and also saves around 36 % energy. The AC has Multi-Flow condenser that is more efficient than a traditional condenser. The anti-rust coat on the condenser improves its durability. Go through the best air conditioner price list. The coolong effect is less. 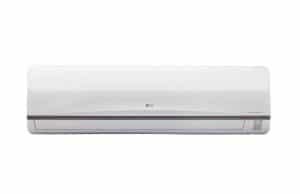 Mitashi SAC3S18K100 1.5 Ton 3 Star Split AC is the fifth best 1.5 ton split AC in India. It has 3 star Energy Efficiency rating. Its condenser coil is made of Copper. It uses the latest R410A eco-friendly refrigerant, which consumes less energy and increases power cooling. Turbo function cools your room quickly and effectively by operating fan at maximum speed. Unique multi fold evaporator coil in indoor unit increases the coil size. This enhances the cooling efficiency. The dehumidifying nature of the AC enables it to effectively remove the moisture from the room, thereby allowing breathing of fresh and clean air. It has 1 year warranty on product and 5 years warranty on compressor. It has Varied Speed Dual Rotary compressor that exhibits wider rotational frequency range. LG’s special Ocean Black protection on the evaporator coil & heat exchange aids corrosion prevention. LG’s Gold Fin ensures more corrosion resistance & durability in even extreme weather conditions. The 3M Micro Dust Filter Filter keeps out both visible & invisible dust & other pollutants. It has 1 year warranty on product and 9 years warranty on compressor. Its condenser coil is made of Aluminium. The Self Diagnosis mode helps the AC to conduct a self check and confirm if there are any errors which is then displayed as per code. The AC has Auto Restart function which resumes the AC from previous settings in case of power cut. The interior panel comes with LED display. The Dehumidifier helps in reducing the humidity level in a room. The AC also comes with on and off Timer and sleep mode. When the sleep mode is activated, the AC automatically adjusts the room temperature according to the body’s metabolism and saves energy. The AC has Auto Clean mode and does not require human intervention. The Remote control comes with night glow buttons and can be easily operated in dark. What are the features to watch-out while purchasing a Split AC? Whenever you are out in the market for buying a split air conditioner, you might get really puzzled so as to which unit you must buy. This happens owing to the fact that the specification of each unit is very closely bound with one or the other similarity or difference. Therefore, we have come up with some of the features that the customer must look-for while buying a split air conditioner. The lifetime and robustness of the air conditioner certainly depends on what kind of heat exchanger coils is utilized in it. We suggest that the user must opt for the anti-corrosion defense such as the Bluefin expertise in defective & condenser coil. Within the selection of the current AC market, there are 2 kinds of coils that are namely the Aluminium and Copper coils from which you choose. Consequent to switching your AC on, you are going to hear the noise that the compressor makes which is calculated in decibels. The minor the decibel value, the lower would be the noise. Therefore, select the AC which offers low noise operation. The after purchase service is one among the majorly significant features to be deliberated whilst selecting an Air Conditioner since we might not promise while the product might stop working halfway. A majority of brands provide an assurance to repair during the course of warranty period though it is recommended to buy an AC which provides service centers near your place. The Inverter AC has recently turned out to be prevalent since they save a lot of energy which decreases their electricity bill. This air conditioner have been priced a touch high as compared to the contemporary non-inverter ACs. The benefit of buying an Inverter type AC is that it offers a choice to decrease the noise that your AC makes and regulates the temperature as per the ambient temperature. 1) What is the size of AC that I should buy for my room? 2) Which star rating would be good for me? The choice of star rating depends on the hours that you use your AC for and the electricity tariffs in your area. Typically we do not recommend going for anything less than BEE 3 star rating. However your exact need can be evaluated using the calculator given on the bottom of this page: AC Calculator Link. You can input your daily and yearly consumption values and the calculator will suggest you the right star rating based on your use. It will also provide you approximate amount of money that you will pay for electricity if you choose a particular star rated AC. This can help you evaluate the benefit of a specific star rating. 3) What are Inverter ACs? 4) I saw a BEE star rating for an Inverter AC. Is it valid? BEE star rating was not available for inverter technology till the year 2015. But BEE has introduced star rating for inverter ACs in 2016. It is not a mandatory rating so it is not necessary for all manufacturers to get their AC model rated, but some have started using the same as many consumers believe in star ratings. The ratings will become mandatory in 3 years. However, the rating standards for inverter ACs and fixed speed ACs are different. A BEE 3 star rated inverter AC will still be more efficient than a BEE 5 star rated fixed speed AC. But BEE 2 or 1 star rated inverter AC may not be as efficient as BEE 5 star rated fixed speed AC. 5) I have less use of AC, is Inverter AC still be better for me? It all depends on your usage of AC and tariffs. If your usage is high and tariff is also high, then it will be much better to go for inverter AC. For e.g. in places like Mumbai where tariff is already Rs 11-12 per unit for last slab, even a decent nightly use for 3 summer months would be better off with an inverter AC than a regular AC. But then it depends on your usage and tariff. 6) My dealer tells me to buy a 3 star AC as Inverter AC is good only if I use it for 18 hours daily throughout the year. Is it true? Most dealers are less equipped or trained on the technicalities and evaluation of ACs. Many a times they are not updated with latest information. Dealer training is one of the biggest challenges for energy efficiency. We would suggest that you use the calculator given on the bottom of this page to evaluate your needs: AC Calculator Link . You can see the numbers on right side of the calculator to see how much you will be paying for electricity if you go for a specific star rating. 7) Is it beneficial to go for a bigger tonnage AC? Will it cool better? Not really. In fact bigger tonnage ACs consume much more electricity. And they overcool. So if you set temperature to 25 degrees in thermostat, it will make the room cooler than that (more on this link: Oversizing ACs). A right sized AC is far better than oversized or undersized AC. 8) Can I go for a smaller sized AC from what the calculator suggests me? Will it save electricity for me? It is always better to right size an AC because oversizing increases electricity consumption and undersizing does not cool well. However undersizing can save electricity. Ideally sizing is done to assure that AC can cool well up to 25 degree centigrade. If you slightly undersize then it may cool only up to 27-28. And will save electricity as well. But then it cannot be equal to buying 1 ton AC when you need 1.5 ton (as that will be gross undersizing). It can be done if you buy 1 ton instead of 1.2 ton. Also sizing is done considering peak summer temperature in mind. If your usage is mostly at night (when temperature is much less) then you may consider buying an undersized AC as well. Another situation where you can think of undersizing is if you plan to set up an AC in your living room which is huge. For a huge space cooling requirement is much high and if you try to rightsize the AC then you would need a huge AC. In such case you can undersize the AC and setup one close to the seating area (area where cool air is required). This will make sure that the seating area remains comfortable and you do not end up putting up a huge AC that can cost you a lot on electricity bills. 9) Which brand is good? This is the most common question we get which is most difficult to answer. We have tried to answer this on our link: Which is the best brand to buy?. A lot of it is perception based on experience. However these are the brands that you will most likely find in our recommendations: Daikin, Hitachi, Sharp, Panasonic, General, Mitsubishi, Carrier, Blue Star, LG, Voltas, Samsung, Godrej. Not that other companies are bad, but these are top most. The only brands that we do not recommend to buy are the brands that used to be retailers and now have started selling ACs under their own brand names. 10) Which brand gives best service in my area? This is again a very common question and extremely difficult to answer. Most of our analysis is purely technical based on the specifications of various models. Service levels depends on local service stations of various brands. It varies from city to city. Even within the city the service levels may vary. 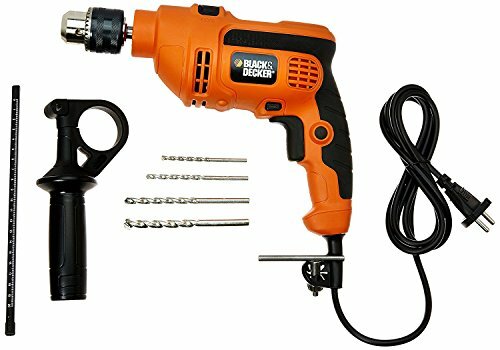 The best people to provide you suggestions regarding this are your local dealers and people who have used a particular brand. 11) What is EER? How can I use EER to compare ACs? How does EER of inverter AC compare to EER of other ACs? EER or Energy Efficiency Ratio is a representation of how well an AC uses electricity. Higher the number, better the use of electricity by an AC. By no means is it a representation of actual electricity consumption. A 1 ton AC and 1.5 ton AC can have same EER but their electricity consumption will differ. And that is because 1.5 ton AC has to do more work than 1 ton AC. Same EER just means that they are equally good at using a unit of electricity. However inverter technology is slightly different. Although usage of EER is not the right representation of an Inverter AC but many manufacturers do put the same for inverter ACs as well. If you want to do a right comparison then divide the EER of inverter AC by 0.8 (assuming it is just 20% more efficient than fixed speed AC .. however it can be more). So if you want to compare two ACs inverter and non inverter both of EER 3.3 then divide 3.3 by 0.8 to get comparison EER of inverter AC. Please note 20% is just pessimistic efficiency level for inverter AC. It can be more. 12) Is a lower EER of inverter AC better than higher EER of fixed speed AC? FAQ no 11 above gives a good answer for this. In most cases even a lower EER of Inverter AC will be better than higher EER of BEE 5 star rated fixed speed AC. But still we recommend that you go for an inverter AC of EER 3.2 and above (at least). 13) I want to buy copper condenser but the model specification says it is pre-coated aluminium fins. Is it really copper? Now it is not that copper cannot corrode. What is important is to select a condenser that has anti corrosion coating. So ask for a condenser with copper pipes and pre coated aluminium fin. Even if it is aluminium then it should be coated with corrosion protection. When an AC spec says that it has pre-coated aluminium fins it is a coil and fin type condenser which is copper. 14) I have a tight budget, should I go for a window AC? Window ACs have efficiency levels 1 level lower than split ACs. So a BEE 5 star rated window AC is equivalent in efficiency to BEE 4 star rated split AC. The reason for the same is that manufacturers have started reducing number of window AC models and have started solely focussing on split ACs. Most of the new technology is available only in split ACs. In fact only BEE 5 star rating is available only in 1.5 ton window ACs. 1 and 2 ton window ACs do not have BEE 5 star rated options. And even the 5 star rated 1.5 ton window ACs are equivalent to BEE 4 star rated split ACs. So our recommendation is to go for a split AC. However, if you are really tight on budget and you need 1.5 ton AC then you can go for BEE 5 star rated window AC. But if you need 1 or 2 ton AC then better go with split AC. 15) Which refrigerant is environment friendly? R410A, R32 & R290 are the most environment friendly refrigerants in ACs. R410A is non flammable, R32 is mildly flammable and R290 is highly flammable refrigerant. If you are planning to buy an AC with refrigerant that is flammable then we would recommend you to go for a good brand as better brands do take care of safety related issues with the refrigerants. For safe choice you can go with R410A. Daikin uses R32 but it is a very reliable brand. 16) Should I buy an AC online? Depends a lot on who is the seller. These days online websites are marketplaces which means they are not the direct sellers. 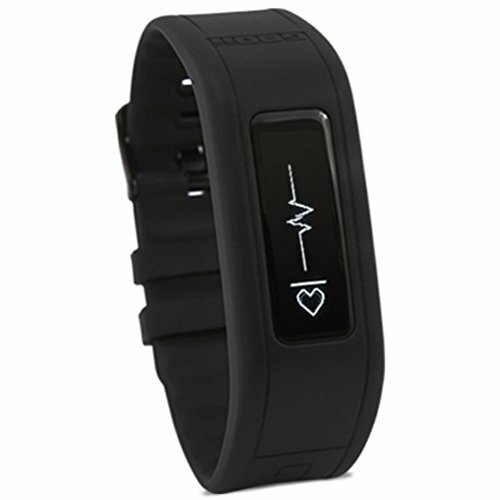 One of the biggest issue with online buying is to get right warranty and support from the brand. If the seller is an authorised seller, you will get warranty as well as support. If seller is not authorised then the same becomes extremely difficult. Although portals do claim to sell original products, but it is extremely important to check seller reviews and confirm if you will get warranty on product or not. 17) Do you have any specific suggestion for me based on my budget? Our suggestions are mostly based on energy efficiency of the model and the top brands (as listed in FAQ 9). We do not recommend any specific brand because everyone has a different experience with a brand. Also the service levels of various brands differs at various locations (as stated in FAQ 10). In fact many people who visit review websites like mouthshut get negative reviews of almost every brand. The reason for the same is that it is practically impossible for any brand to satisfy each and every consumer. If you do not find that model in the market, then just go for the model with highest EER in your preferred brand and suggested star rating. 18) What is the electricity consumption of a specific AC? 19) Your calculator tells me a certain size for my room, is it correct? The calculation by the calculator is absolutely correct as per our knowledge. We have put in all the knowledge that we have about AC sizing in this calculator. We will provide you the same number even if you ask us personally. 20) Is stabiliser required for my AC? If there are huge voltage fluctuations in your area then you must go for a stabiliser for your AC. It is more important if you go for a fixed speed AC. Inverter ACs can handle voltage fluctuations much better, however they have electronics that are prone to damage in case there is power surge (sudden increase of current as it happens in case of short circuits). So Inverter ACs should be protected from surges. 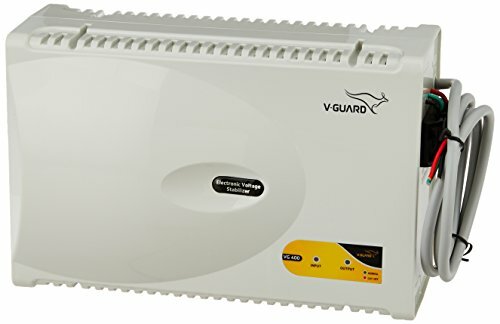 A surge guard should be good enough for inverter ACs. If you still feel that you should put a stabiliser for inverter AC then you should go for one with surge protection feature. 21) There is a significant price difference between a BEE 3 star rated AC and Inverter AC. Is Inverter AC really worth it? Inverter ACs save much more electricity as compared to BEE 3 star rated ACs. They can save electricity even if you use AC for 1 hour. However what is important is to analyse how much money you can save by using inverter AC as compared to how much extra do you pay for buying it. The calculator on this link: AC Calculator Link can help you figure out the yearly electricity cost difference that you will incur if you go for a BEE 3 star rated AC as compared to Inverter AC. This can help you make a decision to go for right type of AC. 22) What is Bluefin/Gold Fin Technology? Is it copper? As we have mentioned in FAQ 13 above, Blue Fin and Gold Fin both are copper. Please refer to that FAQ to understand more about technology. 23) Which Air Filters are necessary for my use? The reason air filters are required in an AC is because ACs are meant to cool closed spaces. ACs do not take air from outside (unlike air cooler), they just cool the indoor air and circulate it. If the room (where AC is installed) remains closed for a long time, the quality of air deteriorates. It can result in accumulation of bacteria. Air Filters help improve the quality of air. However, it is important only if the room remains closed for a long time. It may be helpful even if you use it for 8-10 hours at night. Various brands have different kind of filters. It is more of a safety feature. Not absolutely necessary but good to have. You can choose the one that you feel you need. 24) Will it be fine if I go for an Aluminium Condenser? It is absolutely fine if you go for an aluminium condenser if your area is not hot and humid. Biggest problem with aluminium condenser is corrosion. If the environment is not corrosive then it will not fail. And in fact Aluminium Condensers have high energy efficiency as well. Brands l like Samsung that have aluminium PFC condenser provide good enough corrosion protection for the condensers as well. In fact Samsung gives warranty on condenser too. People in many places have been using ACs with PFC condenser since quite some time and they have not failed. Their chance of failure is high only if the environment is corrosive, otherwise they can be a great choice. 25) The models you have listed are not available in the stores. What do I do? Our data collection is based on data from BEE and models listed by brands on their website. We also try to check if the models are available in online stores. But it is possible that those models are not available in physical stores. Stores typically keep only those models that sell more (not necessarily energy efficient). You can try contacting authorised dealers of the brand and if you do not find any model with them, then the best bet is to go for the most energy efficient model that you get from your selected brands. We try updating our database every 2-3 months but it is possible that some of the models that we have collected are either very new or even discontinued ones. 26) I have a shop/commercial establishment. Can you please help me buy an AC for that? Sizing an Air Conditioner involves taking a lot of environmental factors into consideration. A whole lot of things impact sizing as we have listed on our article Things that impact electricity consumption in air conditioners. As far as residential setups are concerned, things that are kept in a room and environment can be standardised (as we have done for the calculator) or can be assumed. But it is extremely difficult to assume or standardise a commercial setup or shop. A shop may be filled with a lot of products, or a commercial establishment can have a whole lot of people seated in it or equipments installed in it. Everything impacts electricity consumption. Thus it is very hard for us to evaluate or calculate requirement for a shop or commercial establishment. In fact the calculator that we have may not work perfectly for shop/commercial establishments. It is always better to get technical evaluation done by engineers from a reputed brand. If you want to install AC for your shop/commercial establishment, the best thing to do is to call a dealer of a brand that you want to go for and ask them to send an engineer to evaluate. 27) How does Air Flow Rate (or Air Delivery) of AC impact cooling? Air Flow is an important aspect for cooling a room. High Air Flow can result in cooling a larger area and even faster cooling. Air Flow depends on fan speed. In general if you keep high fan speed the air circulation would be more and thus air will cool faster. Increase air circulation also results in a farther reach of cooling. So if you have a choice then of for AC with higher air flow rate. There are many places to look for a good air conditioner. You can shop on the Internet, where you will get competitive prices. When choosing the best window air conditioner in India and best split AC in India, then they should go with our personal recommendation. The Best air conditioner that we suggest to our customers is the Hitachi 1.2 Ton Split AC as it comprises of the best features available in the market. This Split Ac is easy to use, that is eco-friendly (use environmentally friendly refrigerant gasses) and that are energy star. It is one of top 10 best Air Conditioners in India. Energy Star products have the property to use the energy in a more efficient way, so you save money in the long run by helping the environment. Carefully go through reviews of top 10 best Air Conditioner in India. Next articleTop 10 Best Quality Sanitary Pads In India – Have A Safe Period! Himantra.com is a participant in the Amazon Services LLC Associates Program, an affiliate advertising program designed to provide a means for website owners to earn advertising fees by advertising and linking to amazon(.com, .co.uk, .ca etc) and any other website that may be affiliated with Amazon Service LLC Associates Program.